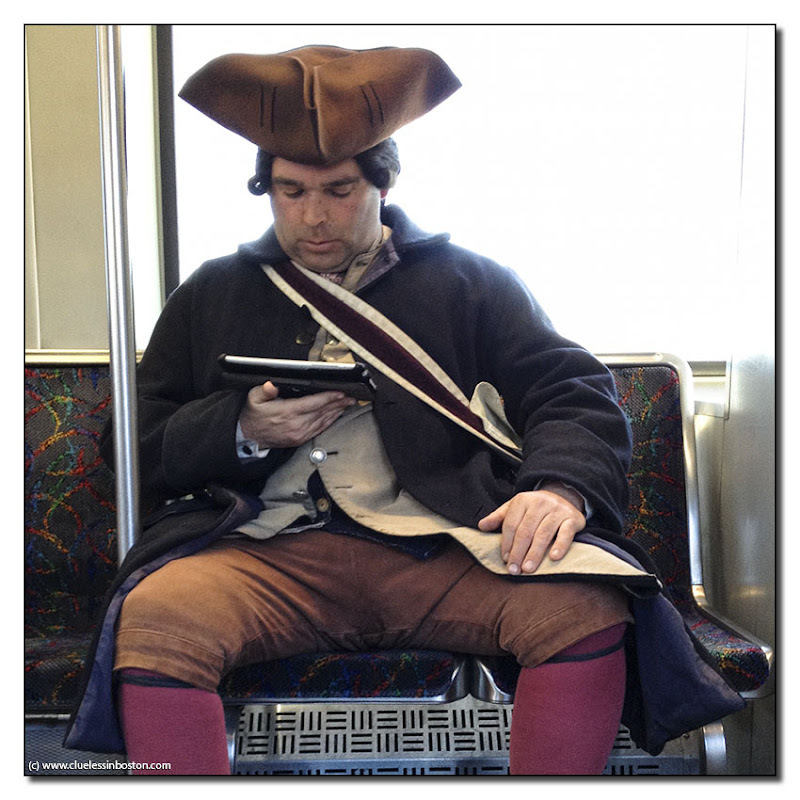 Riding the train and reading his iPad; everyone has to get to work somehow. That's really a fabulous and funny shot! That is a unique scene. Great find -- love it. What a stark contrast between then and now. Probably checking the tea prices to see whether to throw it in the harbour or not. Oh wow! What a juxtaposition!